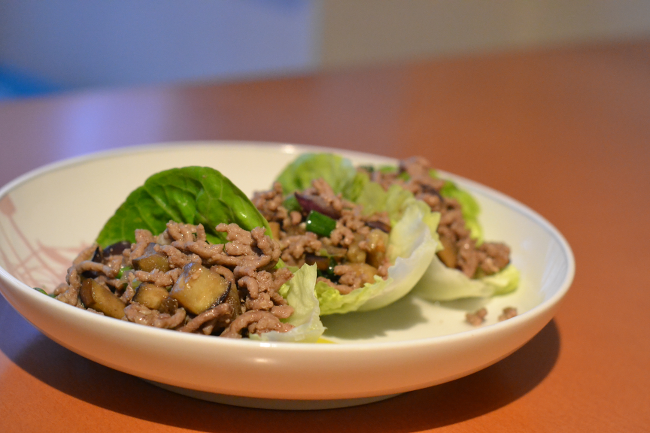 A recipe adapted from one that is regularly made and eaten at Chez Chai, I thought I’d share a simple lettuce wrap dish for fellow taco and food-building-meal lovers. The concept is simple, a fresh and slightly healthier update to the mini soft taco with mild, sweet, spicy flavours. This is also ideal for dinner parties, garden parties, as a BBQ accompaniment or for entertaining. 1. Wash the little gem lettuce leaves and put to one side. I like mine nice and cool, so pop them in the fridge if necessary. 2. 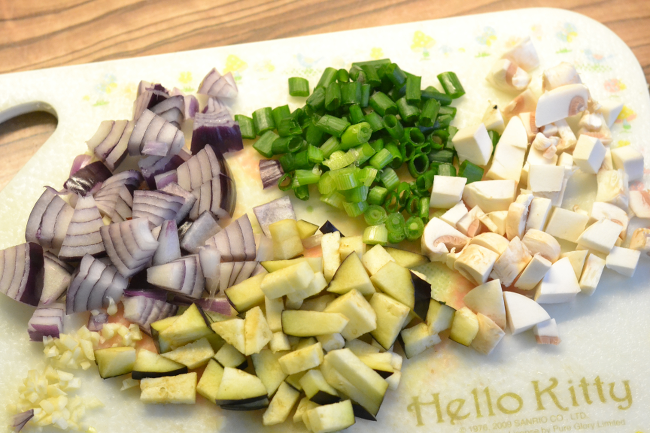 Dice your aubergine and/or any other vegetables that you’ve selected for your meal. Finely chop a clove of garlic and one red chilli. 3. In a frying pan on medium-high heat, heat up half a teaspoon of cooking oil of your choice. At Chez Chai, we tend to go for sesame or peanut oil just for an extra kick of flavour, but if you have allergies, your usual oil is fine too. 4. Pop in your aubergine, garlic and chilli and brown until they soften. Don’t let the fine garlic burn. 5. Add your pork mince. 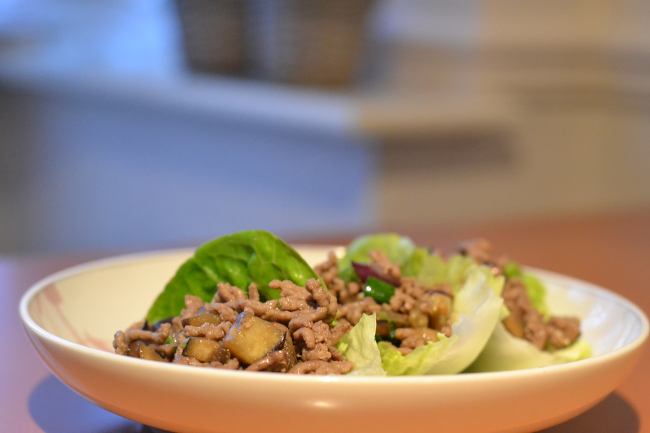 The mince should release juices to add even more flavour. As it cooks through, add a couple of splashes of fish sauce and a tablespoon of soy sauce. Stir through. If desired, add salt and pepper (although I tend not to). I prefer to pop some honey or sugar in. 6. Now to assemble! 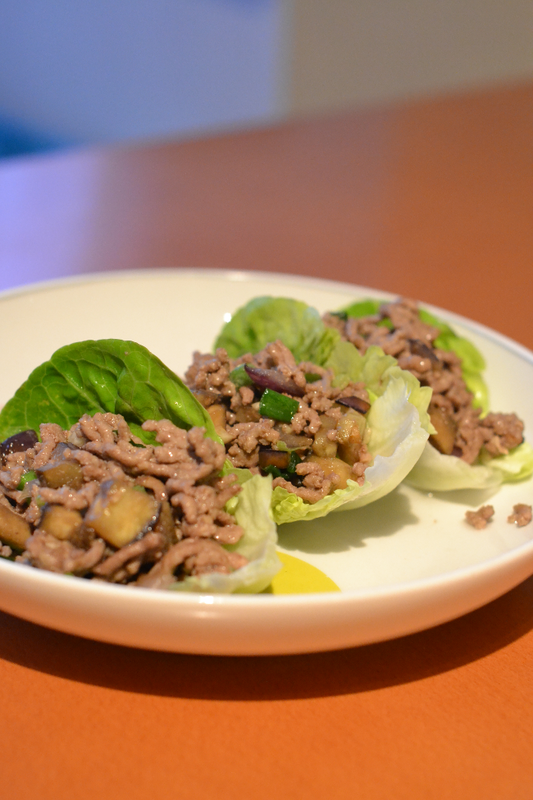 Take a tablespoon of the pork mince and vegetables and pop into the middle of a lettuce leaf. Garnish with a squeeze of lime juice, spring onions and some sesame seeds. Let me know if you’ll be cooking up this recipe! I’d love to see Twitpics and Instagrams of course.